Traditionally, men wear plain gold or platinum bands to honor their marriage to their significant other. But, many men want a way to put their own twist on the tradition of wearing a plain wedding band. For this reason, sapphire rings that put a twist on traditional wedding bands are becoming increasingly popular among men. These bands use sapphires to add a pop of color and give the ring more character and personality. Even though these brightly colored gemstones will turn heads, the ring as a whole is still subtle and sophisticated. This is the perfect trend for men who want to express their personal style without bucking tradition altogether. Women aren’t the only ones who get to wear engagement rings! The “mangagement” ring trend has been taking the jewelry world by storm—and it’s not hard to see why. 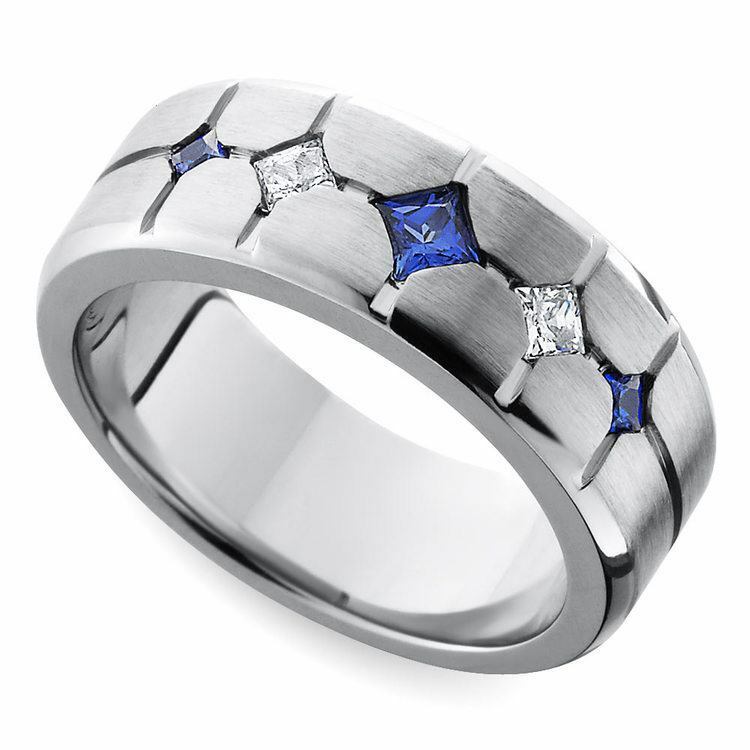 Men can celebrate their upcoming nuptials by wearing a striking engagement ring with sparkling blue sapphires. 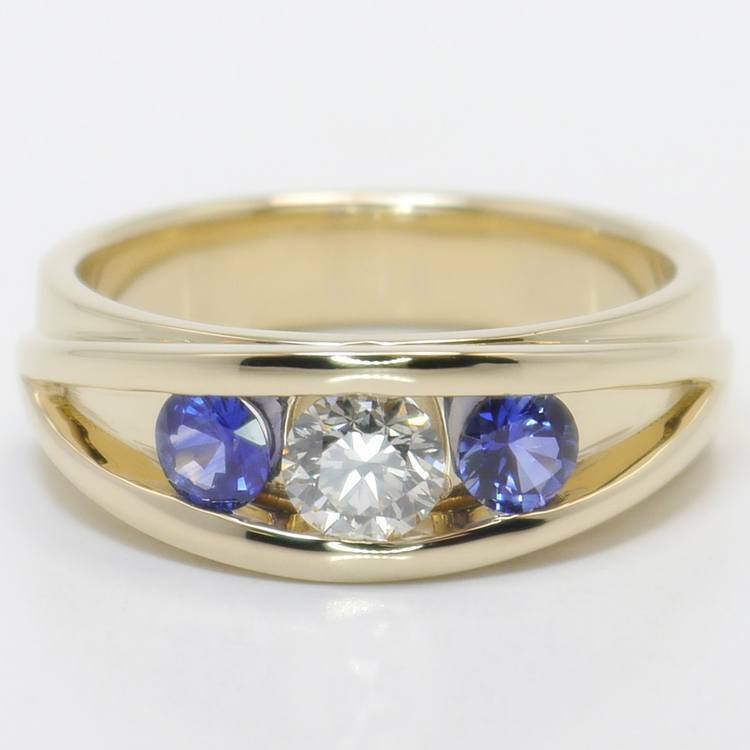 It’s common for mangagement rings to incorporate both diamonds and gemstones like sapphires into the design. Doing so makes mangagement rings stand out among a sea of diamond-only engagement rings targeted at women. Another trend that is making waves in men’s jewelry is the bold design with clean lines look. This trend, which appeals to modern men, is characterized by simple and symmetrical designs with one or two bold details. 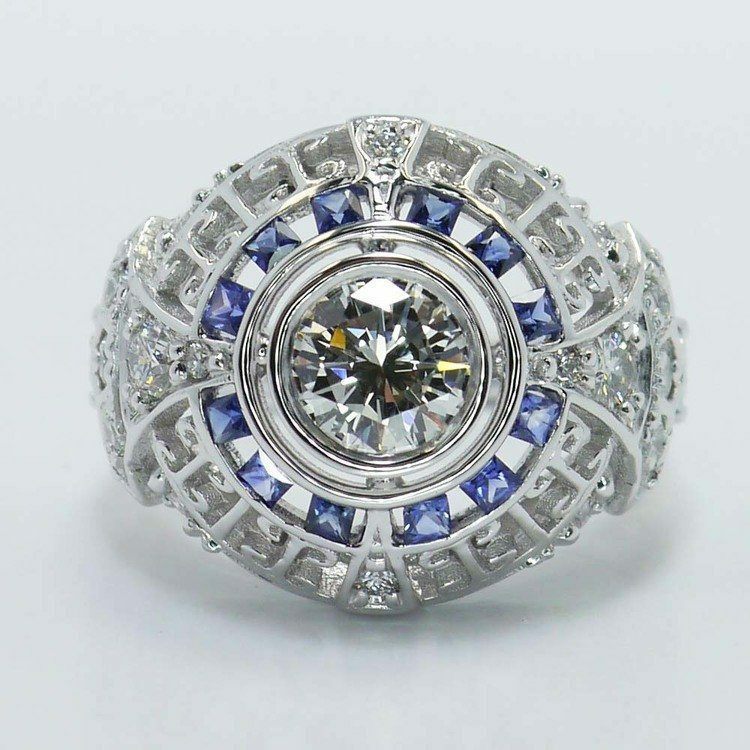 Many designers incorporate sapphires into these bold designs by placing them front and center in the ring. The brilliant blue color of the sapphire is unexpected and edgy—especially in men’s jewelry—which is what makes these designs so daring. Men often look at sports stars as heroes, so it’s no surprise that athletic-inspired sapphire wedding rings are popular. Traditional wedding bands are fairly simple, but these athletic-inspired rings are not. Inspired by the rings that athletes receive when they win the playoffs, championship, or Super Bowl, these rings are much larger and more detailed than traditional wedding bands. Athletic-inspired rings typically feature many small-sized stones surrounding one large, center stone. 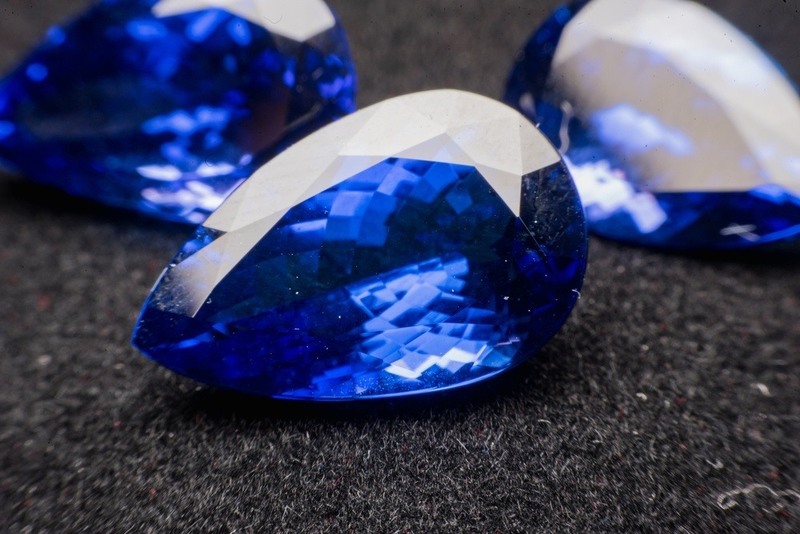 Sapphires can either be used as the center stone or as the small-sized stones that surround a diamond in the center. Either way, wearing an athletic-inspired ring with sapphires will make men feel as if they’ve just scored the winning touchdown. As you can see, the options are endless when it comes to men’s sapphire engagement and wedding rings. Diamonds may be a girl’s best friend, but sapphires just might be a man’s closest companion.